The Christmas Tree Holder by the young design company Born in Sweden is not only practical and functional - through its good looks it contributes to the festive atmosphere on the holidays, which even if you are generous you can not really claim in the case of many old Christmas tree stands which are guaranteed to get you angry during assembly. The Christmas song-classic "Oh Christmas Tree" renders homage to the "green leaves" of the Christmas interior decoration – to keep this ideal a reality for as long as possible, the stand can be filled with water, which keeps the tree fresh and limits the defoliation. The four highly resilient screws of stainless steel ensure a firm hold. They tightly grip the trunk. 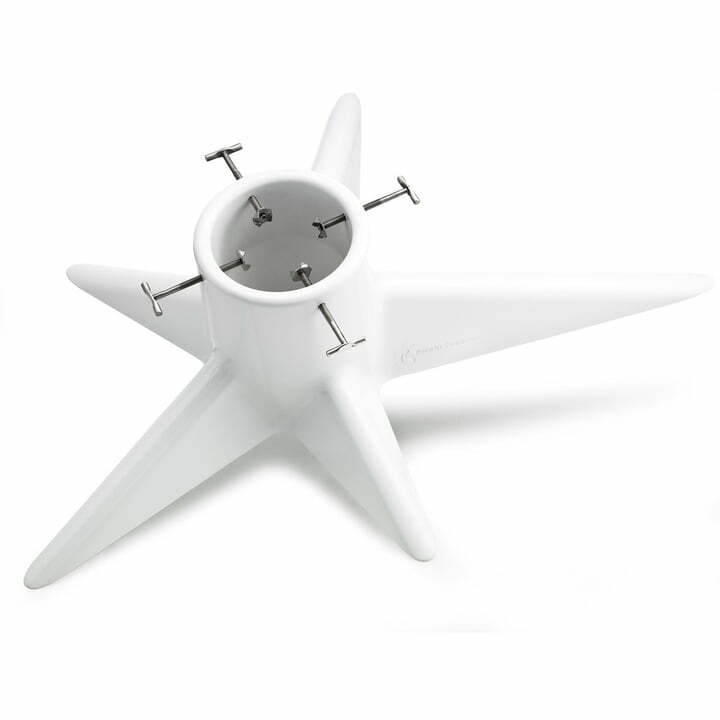 Responsible for the design of this modern Christmas accessory, which also functional fulfils its demands, is the famous industrial designer and Born in Sweden cofounder Pascal Charmolu. The Christmas Tree Holder by the young design company Born in Sweden is not only practical and functional - it also contributes to the festive atmosphere of the holidays through its good looks. 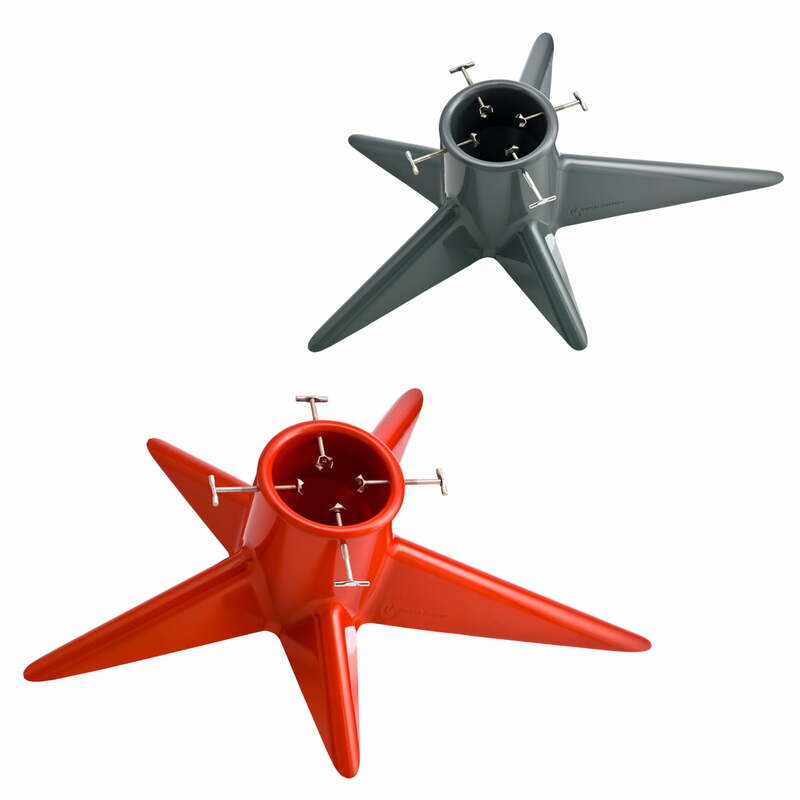 Group image of the Christmas Tree Holder by Born in Sweden in red and grey. 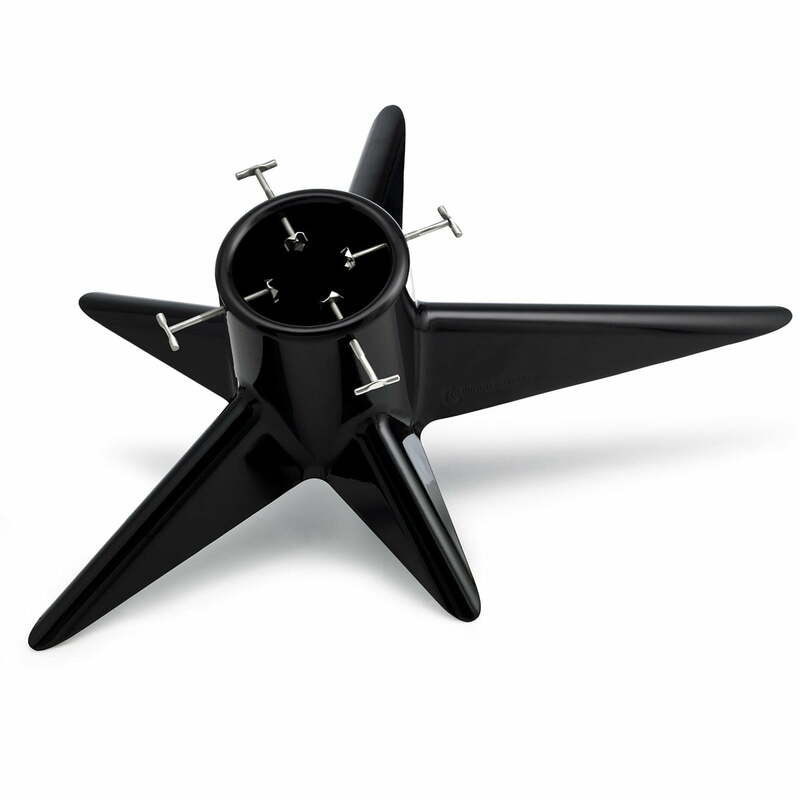 The Christmas tree Holder by Born in Sweden is not only functional but also pretty.